Q: What did the reporter ask the root beer float? Archer loves a joke as much as he loves a root beer float. And while good jokes about root beer are few and far between, he knows where to find one of the tastiest floats around: Stewart’s All American and Archer’s Kitchen + Bar in Florham Park. With nearly 40 grills and restaurants scattered throughout the East Coast, Stewart’s serves its legendary floats alongside such other American classics as half-pound steak burgers, hot dogs served with coleslaw and a pickle, barbecue baby back ribs, Philly cheesesteaks, signature sandwiches and wraps, onion rings and a variety of complementary desserts. So — what’s the scoop on Stewart’s? While ice cream floats were first created in Philadelphia, Pennsylvania, in 1874 by Robert McCay Green and credit for inventing the first root beer float in 1893 goes to Colorado brewing company owner Frank J. Wisner, Frank Stewart perfected the recipe beginning in 1924. Stewart wanted to create an ultra-creamy, delicious root beer. He and a chemist worked together to develop a special blend of 20 extracts of roots, herbs and berries. 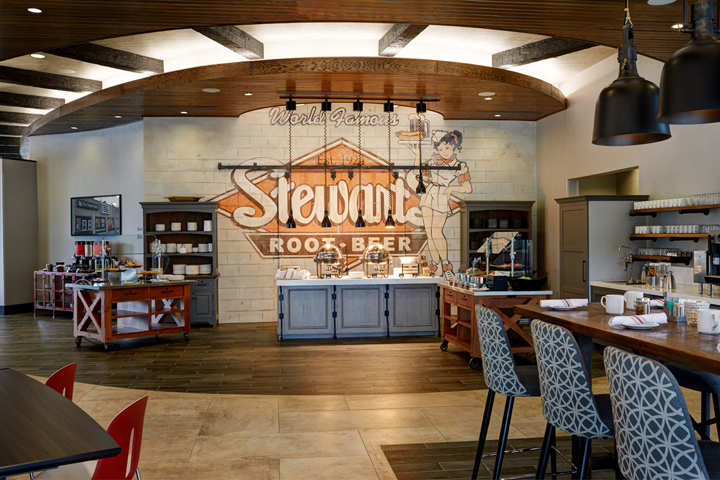 With the success of his root beer, Stewart opened his first restaurant in Mansfield, Ohio. 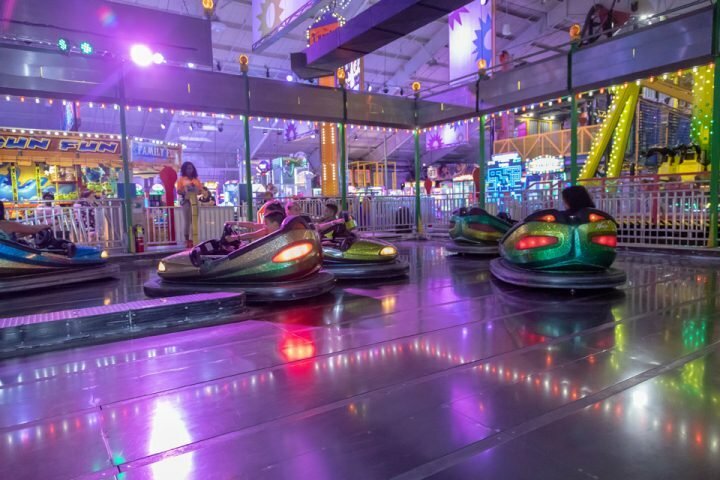 He grew his business by opening up more locations — primarily as car-hops — throughout the United States. Today, Stewart’s All American operates 37 restaurants, grills, drive-ins and food concession trailers throughout the East Coast, as far west as Marion, Ohio. Proud of its longstanding family-friendly fare and prices, Stewart’s is especially thrilled that its world-famous root beer float — served with a choice of soft-served vanilla ice cream or hard vanilla ice cream, plus root beer, diet root beer, orange ‘n’ cream, black cherry or cream soda — are still customer favorites nearly a century after Frank Stewart first invented his sweet, frothy concoction. While Stewart’s is in Connecticut, Massachusetts, New Hampshire, New York, Ohio, Pennsylvania and West Virginia, 21 of its locations claim New Jersey as home. 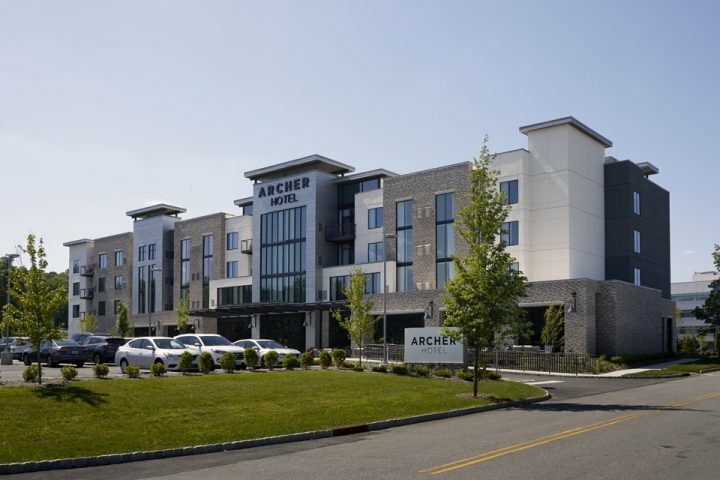 And in homage to the root beer king of the East Coast, Archer commissioned artist Andrew Tedesco to create a mural of the Stewart’s logo for Archer Hotel Florham Park, New Jersey. The artwork adorns a concrete block wall and sliding wooden doors in Archer’s Kitchen + Bar. And Archer’s menu includes Stewart’s Root Beer Float — tasteful simplicity at its finest. Place 2 scoops of vanilla ice cream in a cold glass. 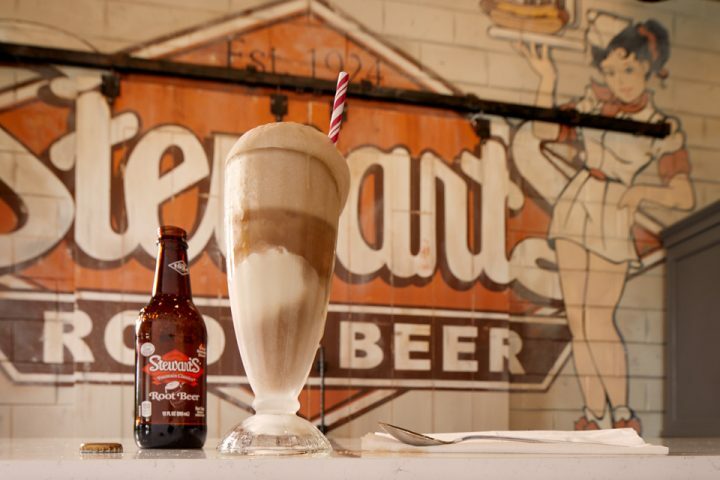 Pour chilled Stewart’s Root Beer over the ice cream. 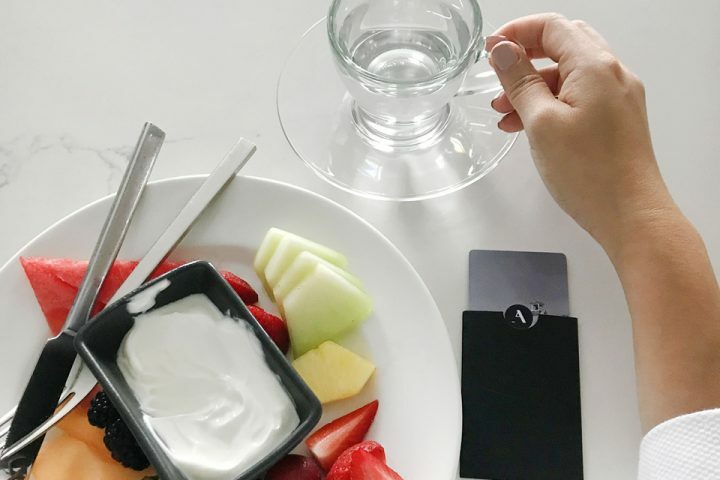 Serve it up, then drink it down. Still thirsty for information? Learn more about Stewart’s All American and its franchise opportunities.